★Multi Choices: Various Colors for you to choose. Men and women all can find the color you like. 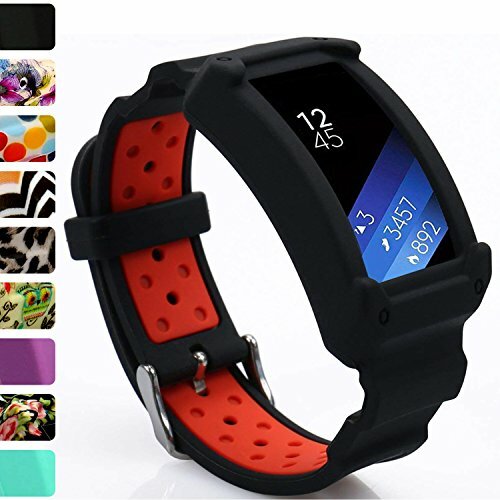 This silicon watch band suits for both large and small size from 4.9" to 9.1". ★NOTE: Replacement band Only, fitness tracker not included. Attention: When charging the tracker, the new kinds band need to be taken off !!! Fits to Samsung Gear fit2 ( SM-R360 ). If you have any questions about this product by wonlex, contact us by completing and submitting the form below. If you are looking for a specif part number, please include it with your message.